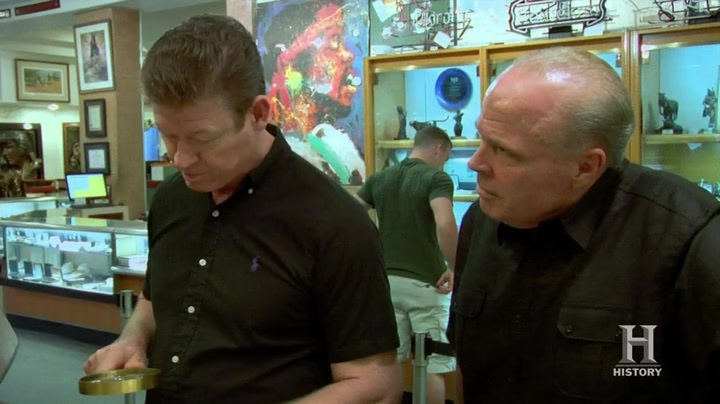 The Pawn Stars snap to attention when an 1830's percussion musket from West Point marches into the shop. One of only a couple hundred ever made, will this rare cadet training weapon pass inspection, or will it end up with a demerit? Then, get ready to take flight when a guy soars in with a collection of letters and pilot licenses signed by the father of flight, Orville Wright. Will Rick be able to get this deal off the ground, or will a tough negotiation send him back to the drawing board? And later, Rick and the Old Man get ready to spend all their nickels when a guy brings in an antique slot machine from the 1930's. Will they take a gamble and hit a jackpot with this deal, or will a cold streak leave them busted?